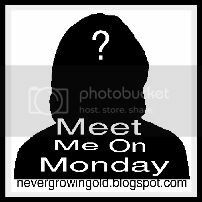 Welcome to the 59th edition of "Meet Me On Monday!" Blogging is a funny thing...we tell our most intimate thoughts for all to read and yet most of the time I find myself sitting and wondering, "who is this person!?" I know them...but yet I don't know them! I want to know who the person is behind all those words so I thought of a great way for all of us to "meet" each other! 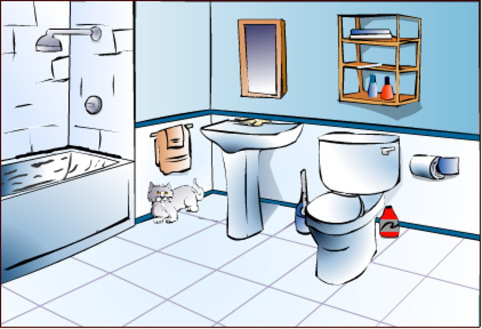 Bathroom!! After having the boys home for several days the bathroom is screaming "clean me"....I cleaned it right before they got home last week but it needs it again already. We all use the main bathroom in the hallway since Joe works nights and he sleeps during the day so the master bathroom only gets used by Joe! Cookies!!! As soon as my foot heals some more I'm going to start baking! Yum!! I would say 30. How comes I can barely remember that age?? 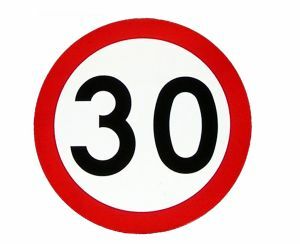 30 seems to be the perfect age because you are not too young and not too old! Babysitter! I babysat a lot as a teenager! I have not! I'm probably one of the few that haven't read it! I'm with you on the Twilight Series! I just saw the 1st movie on Halloween, and a friend let me borrow the 2nd one a couple of weeks ago. I'm with you on the Twilight thing. I have no interest in reading it either. I read the first two in the Twilight series, but it didn't do anything for me. Not a huge fan but I didn't hate it either. I haven't read the Twilight books either, I love the movies tho! 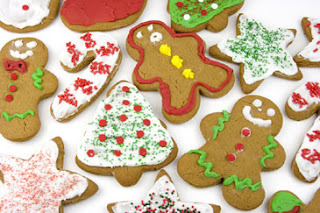 We definitely agree on the cookies! But I blew it on my first paying job. I babysat too! But the first paycheck was deli clerk! 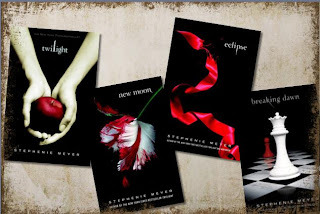 I haven't read the Twilight Series either....can't imagine loving a vampire or werewolf...LOL. My favorite age was 33 as that is when we got out child. I was healthy then too and my sister was still alive. I really need to clean my living room! Babysitting was my first paying job too! Wish I would be 30 forever too lol! My first time to join here, thanks a lot for hosting! Couldn't agree more with being thirty!!! I'm linked, I'm linked!!! I actually had to subscribe to your blog so I wouldn't miss anymore questions, lol! This week's are superb. I missed it! Rats! Oh well. I need to clean my whole house. It's disgusting. Seriously, it looks like a hoarder lives here. 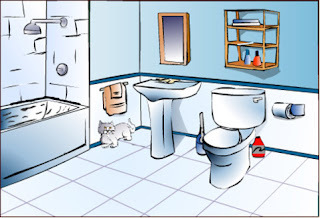 The bathroom is pretty gross right now too because I am not so good about cleaning out the litterbox. And my boy cat Toulouse/Tootie seems to think the potty is a big sand box and flipping sand all over the floor is awesome. He is such a turd. I'll be 29 in March and while I am really not looking forward to it ebcause I feel like I haven't accomplished all I wanted to by this age, and being single and struggling the way I have has been incredibly difficult. I thought I would have kids and be married by now, and you know if Matt hadn't been a sociopath I would be amrried to him and pregnant right now. I would. That's a fact. I would be sitting at this computer, five or more months pregnant right now. It is very sad for me to think about. That said, I feel pretty comfortable in my own skin at this age, and more accepting of myself. That is a good thing to have, although I am just as unhappy with my weight and abilities to style my own hair. But I just... accept myself more. I haven't read Twilight either and have no plans to! Not interested. My first job was a babysitter too (I think I was 11 or 12), but my first "real" job was at Joann's Fabrics when I was 15.5 or 16. (in CA you have to be 15.5 to get a work permit). I'll be in DC again December 28th-31st, FYI! Shooting another wedding! You should drive over! lol I should also be going to Philadelphia next May too. I will have another wedding in DC May 5th and I am planning to visit my friend who is going to Dexter before or after!